I actually don't really have a favorite summer read. I don't change my reading habits in the summer as far as book content. We are reading Unbreak My Heart for book club for our summer read. So that would probably qualify. I like to read cookbooks in the summer because I feel motivated to cook light and fresh meals. ha ha so maybe that is my summer read. I don't really have a favorite either. Cooking summer foods, mmmm.... I love salads and creamy desserts. Hopping through. Who writes Unbreak My Heart? I don't know it. Mellisa Walker. I realized I forgot to put the author!! Yeah, favorites are always hard. Cook books are a great choice too! Every genre counts. I'm pretty much the same as you. In the summer I read the same, just I read more. I'm a new follower via GFC! Hopping through. I don't change my reading habits from season to season either! Good answer! I actually do change my reading habits when I'm on vacation because then I can concentrate on more difficult or complex books. Thank you for stopping by my FF. Following via GFC. 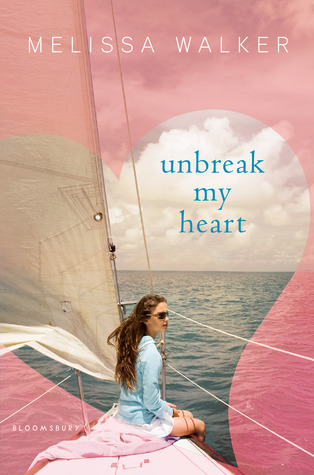 Unbreak My Heart sounds like an interesting light read. I'm not one for changing my reading habits based on season either. It's more, okay I've read so many of this genre, let's take a little break :) Old follower. Have a great weekend! hmm cookbooks, I like them but most of the time I end up not cooking the things I read. Thanks for stopping by my blog! Have a great weekend. My favorite summer book is Beauty Queens because it is overly hilarious! I'm a new follower through bloglovin!